Whether you intend to design a new kitchen or remodel the new one, you can choose readymade cabinets or customize them to meet your needs. 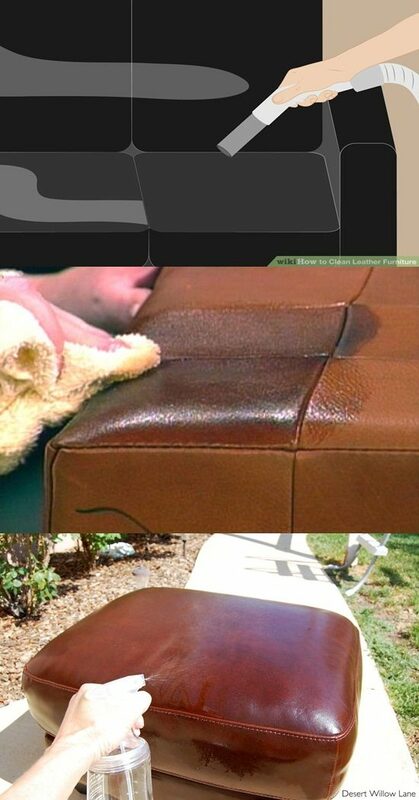 That’s why you should define the way you will use the place, the size of the available area, and the style of the place. In your small kitchen, you shouldn’t sacrifice a single inch of your kitchen’s storage space keeping its aesthetic look at the same time. You can mimic the design of Saint Laurent kitchen creating L-shaped base black cabinets, wall hanging cabinets reaching the ceiling, and built-in cabinets around the large appliances. The black cabinets with metal pull hardware along with stark white countertops and walls provide the place a spacious look. For a more spacious look, Audacia Design team members customize white shaker-style base cabinets along the two sides of the Roselyn Avenue kitchen with stainless steel appliances, glossy wooden floor, and ceiling lighting bulbs along the upper cabinets. 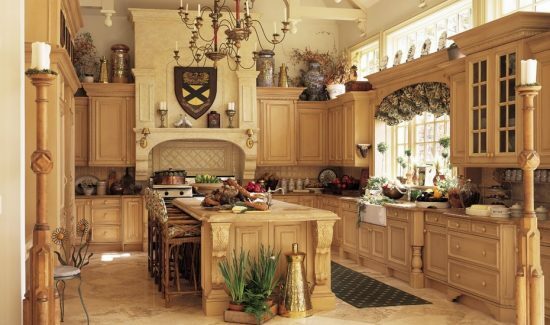 In your classic kitchen, you should consider the luxury and elegance of the place. You can install chocolate or espresso kitchens with decorated molds at the top borders to create a sense of luxury in the place. 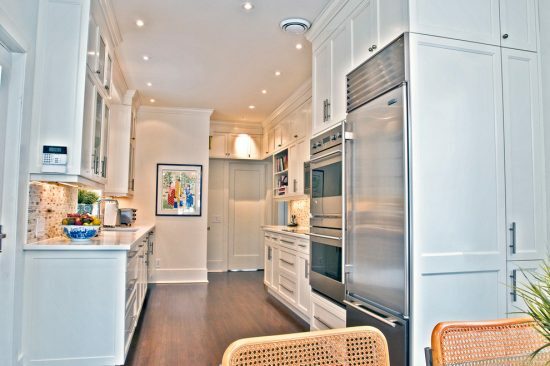 Displaying the items in the upper glass door cabinet will provide the place a spacious look. If such a kitchen is small, you can create skylights above the cabinets or install spotlights in the ceiling and under cabinet lights. 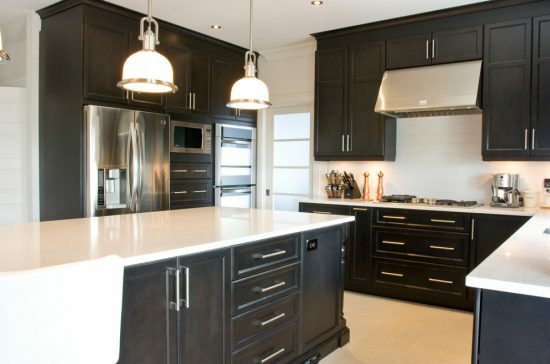 The stylish white and black cabinets with the professional installed lighting fixtures and sources of natural light will create an amazing look in both small and large kitchens. 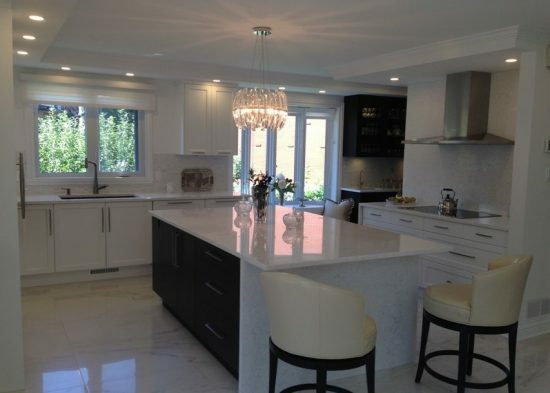 The interior designers of Audacia Design Downsview create a floor-to-ceiling pantry along with white and black cabinets to create a sense of balance in the place. 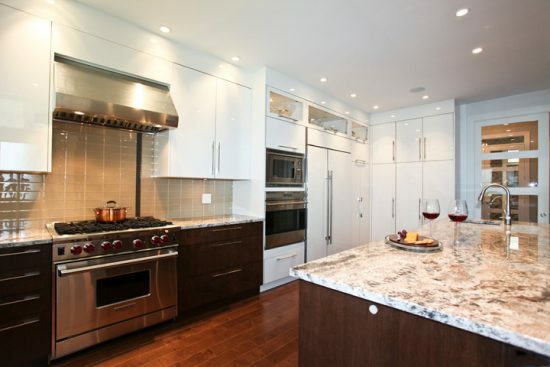 If you are from Montreal, you can consult Audacia Design to choose the best cabinet design for your home or even let them customize cabinets to meet your needs.